Broadcasting live to 170 countries with fans in all 50 states and over 266,473 downloads! Listen to ﻿﻿Funniest Thing! with Darrell and Ed the internationally popular weekly podcast on Unity Online Radio. Each week these unlikely saints administer a refreshing dose of laughter and love that will inspire you to step out boldly. If you want to see what Darrell and Ed are up to when they are not on the air, follow them on Facebook and Twitter @DarrellandEd. We Love Procrastinators and Last Minute Gift Givers! If you’ve been putting off subscribing to the Daily Word Magazine then you've got perfect timing. The Daily Word kicks off the quickly approaching New Year with featured articles by Darrell and Ed in the upcoming January-February 2018 issue. Don't delay CLICK HERE and order today and soon you'll be feeling like a million bucks for less than 3 cents a day. It also makes the perfect gift for a friend - it's the one that keeps showing up all year long. Subscribe today - you’ll love the way it makes you feel. Our guests are people from all walks of life enjoying everyday victories. During the episode We're Moving On Up! director of Silent Unity®, Joy Perrie, brings fast-acting relief to whatever ails by highlighting how forgiveness attracts love, freedom, and affluence. The realization that we're all just kids wearing grown-up clothes is a relief. It's a relief because it's the truth and truth-sayer J.P. Sears encourages everyone to stop pretending, start living, and have fun listening to the episode I'm a Big Kid Now. 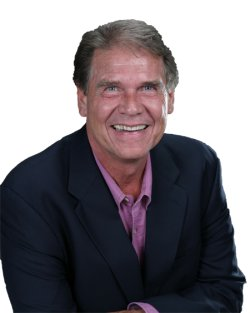 On Some Highs Are Out of This World actor, producer, Robert Leeshock encourages you to trust inspiration and believe that things are always working in your favor. What are you able to create when you don't allow the fear of imperfection to stop you? 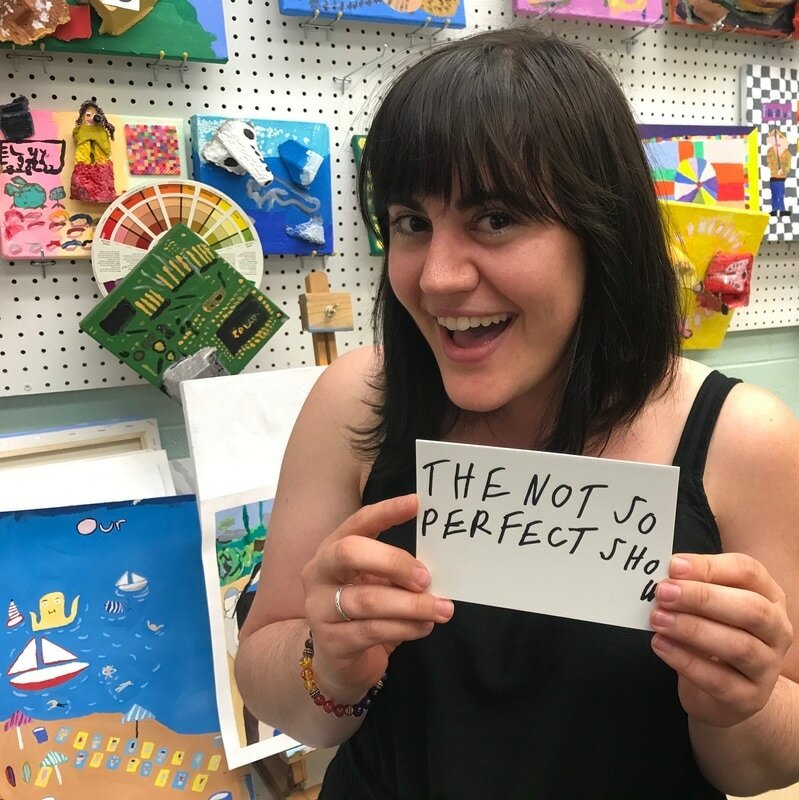 L.A. GOAL director of visual arts Alyssa Mannis kicks intimidation to the curb with Darrell and Ed on The Not So Perfect Show. Rev. Michael Bernard Beckwith founded the Agape International Spiritual Center and is featured in the documentary film, The Secret. He shares how praying for others is the elevator to the advanced level of spirituality during the episode, Happy is the New Black. 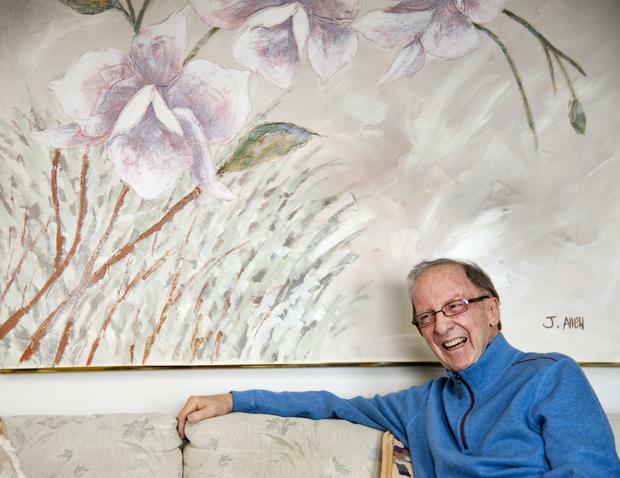 Alan Cohen is the author of one of the books Darrell and Ed recommend most, A Deep Breath of Life. Hear how he went from a "hard-aholic" to easy street in the episode, Life's a JOY-ney! Get a boost in the caboose from author Terry McBride on the episode, Relax and Let God Have a Go at It. You'll break from the spell of push and shove and realign with joyful expectation. Michael Harney, star of Netflix's Emmy award-winning series Orange Is the New Black. Los Angeles, CA. Check him out in the episode, Abracadabra! I Create as I Speak. Tony Denison, star from TNT's top-rated Emmy award-winning series Major Crimes. Los Angeles, CA. Tony and, Darrell and Ed, realize the answer is letting go of old ideas in It's Pilot Season; Prepare for Takeoff. Joe Williams, United States Marine Corps veteran, artist, and founder of the Endowment for Veterans Art Campaign (EVAC). Kansas City, MO. Check him out in the episode Forgive and Grow Rich. Artist Joe Williams at work in his studio, sculpting in steel. Larry Broughton, former U.S. Army Green Beret, President and CEO of Broughton Hotels. Anaheim, CA. The episode Don't Worry, We'll Leave a Light on For You drives home the fact that God is on your side. Larry Broughton loves "Funniest Thing! with Darrell and Ed." Becky Watson, retired U.S. Navy Captain chose to follow her calling as a Music Therapist; Owner, Music for Wellness. It's clear in the episode, We're McLoving It! that no matter what the circumstances, when we express love we let God's power flow freely, baptizing our life with success. Becky Watson holding a copy of Darrell's book "What If Godzilla Just Wanted a Hug?" and the incredible Daily Word. Sister Mary Lea Hill, aka the Crabby Mystic and author of Prayer and You. Boston, MA. Check her out in Don't Be Embarrassed to Let Go. Have Fun at Fart Camp! A reminder that all it takes is a childlike faith. Sister Mary Lea Hill draws the winning fan's name, "Sandy Page" from the hat to receive a signed copy of "Prayer and You." 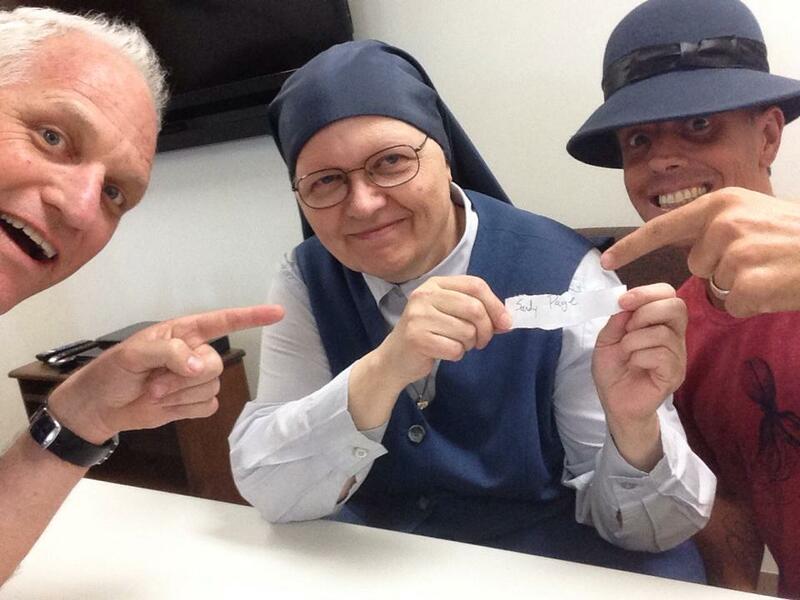 L-R, Darrell, Sister Mary Lea Hill, Ed. Hollywood's Sister Rose Pacatte, the movie reviewing nun. Culver City, CA. Discover surprising good fortune humility brings in My Big Break Was a Humble Job in Hollywood. That's not Ed! It's Crystal, the star of "Night at the Museum: Secret of the Tomb" on the Red Carpet with Sister Rose Pacatte. Stephanie Havelka, Founder and Innovator of Sportkini. Laguna Beach, CA. Rest assured with examples of Divine Order in Make a Run for the Order! Jenn Henry, Senior Student Financial Services Representative. Chicago, IL. Hear Jenn sharing the benefits of surrendering limiting beliefs in Stop Resisting a Rest! L-R, Leslie Henry and Jenn Henry. Sandy Page, mother of two, grandmother of three. Chicago, IL. You can let go and cool down with Sandy, Darrell and Ed in God Never Panics. Sandy Page enjoying a moment of heavenly contemplation. It was 1986, while David McClure was senior minister at Unity Church of Hawaii, that Darrell became acquainted with Unity for the first time. David is often referred to on the show and he recently dropped in on, Your King-Size Box of Good 'n Plenty Is Waiting for Pick up. Have a listen and enjoy your day. Enjoying life and laughter with Rev. David McClure. Hear Reverend Gregory Vinson of Bath, ME, reinforce the notion that we affirm the good in ourselves when we affirm it in others, all in the episode, When Your Friend Is Feeling Crappy, Just Imagine Them Happy. Rev. Gregory Vinson and Lady. Elaine Meyer, current Daily Word editor, joins Darrell and Ed for the first time on the episode Stepping Out Boldly. Laura Harvey, writer/blogger/social media manager and former editor of Daily Word (2004-2009). Enjoy one of the best with her in Don't Be Afraid to Be the Lovable Buffoon God Meant You to Be. 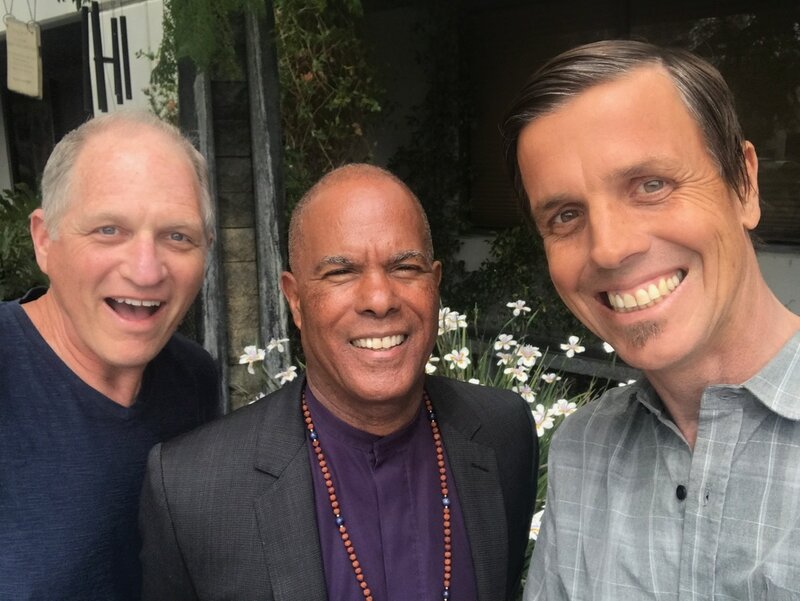 Listen to episode Send In The Clowns and lighten up with Laughing Yoga Yogi Siri Gopal Singh when he drops and tickles listeners with the Daily Word®, "Dynamic Energy." having fun being ambassadors of God's love. Listen to Funniest Thing! with Darrell and Ed and join the party! Who are Darrell and Ed? Cartoonist Darrell Fusaro is decorated U.S. Coast Guard veteran with a knack for being in the right place at the right time. In his latest book, What if Godzilla Just Wanted a Hug? Darrell describes how he follows his hunches, steps out boldly, and stumbles, like Mister Magoo, from one miraculous situation to the next. He’s exhibited with Andy Warhol, worked as a Hollywood stunt coordinator, and as producer of the Emmy-nominated Local Edition on CNN. Darrell’s old-school charm and no-nonsense approach to spirituality will keep you laughing and listening in for more of the funniest things. To peek into the secret journal of this successful artist, visit: ThisWillMakeYouHappy.com. Accomplished musician Edward Biagiotti is the Inclusion Specialist for Culver City Unified School District. His unorthodox teaching methods have proven to be remarkably transformative; blowing doors off many of the limiting beliefs of modern psychology. His weekly column, “Tapping Into Genius,” is featured in the Culver City News and the Blue Pacific newspapers. Ed has become the go-to source of advice and inspiration for parents and educators who understand, when it comes to education, fun is not a dirty word. Visit Ed’s website at: TappingIntoGenius.com. Need relief from a head full of dread? Then just tune-in to Darrell and Ed. The wonderful people at the Daily Word Magazine have created an exclusive Daily Word subscription link just for Funniest Thing! fans. They are offering a year's subscription at an incredibly reduced rate of just $9.95, that's a savings of $31.75 off the cover price! If you or anyone of your friends and family have been putting off subscribing to the Daily Word now's the perfect time to take advantage of this exclusive offer. 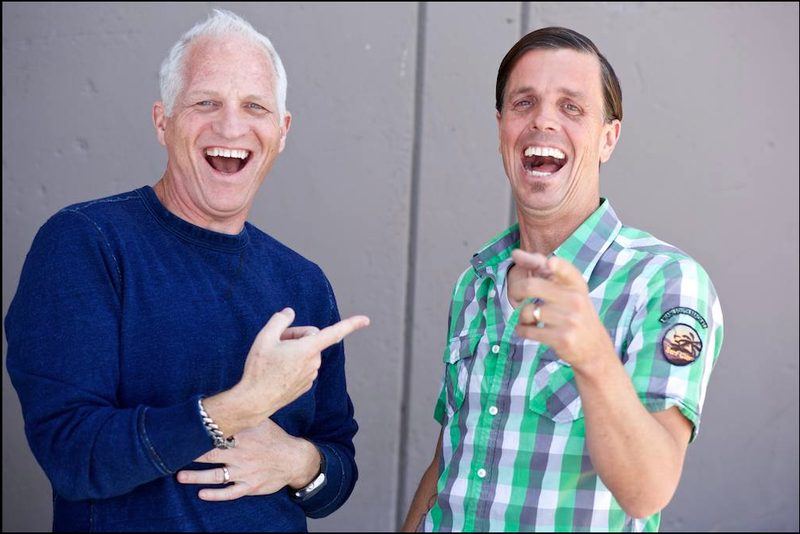 Darrell and Ed have been invited to kick off Unity Online Radio's Ignite Your Life series inspiring the talented and timid to step out with confidence. This free series is possible because of donors like you. As a valued listener, you know there’s something for everyone on Unity Online Radio. The inspiration continues with the premiere of our six-week series, Ignite Your Life. True confidence equals humility. With complete trust that God is on our side, we are free to be ourselves. Darrell and Ed invite you to trust your intuition, let go of limiting thoughts, and become a human magnet to attract your fortune. Trust your intuition. Learn to follow hunches. Take God as your business partner. Create a fun, simple, and sustainable morning prayer and meditation routine. What If Godzilla Just Wanted a Hug? 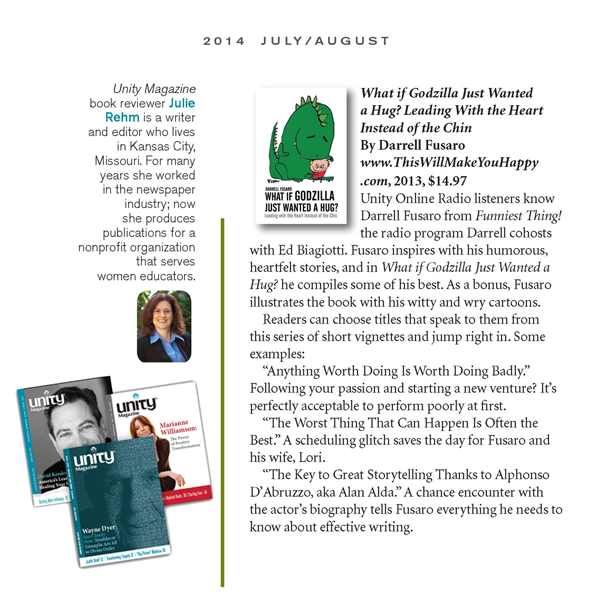 by Darrell Fusaro reviewed in Unity Magazine. The new book by Darrell Fusaro encourages the talented and timid to trust their gut, act on intuition, and step out boldly. Even if you just bought it for the chapter titles and Darrell Fusaro's illustrations alone, you'd be getting more than your money's worth for this book. Darrell Fusaro's old-school charm and no-nonsense approach to spirituality will keep you laughing and inspired. His wit and wisdom is packed into easy-to-digest, bite-sized stories of how he transforms chaos into tranquility and succeeds by doing the opposite of everyone else. Order your copy today. Also available for Kindle and Nook. Click here to request a signed copy. You've heard the back story of how Ed stepped out boldly to record his latest album. So if your ears have developed a craving for Coconut Donut click here and be satisfied. It's Musically Delicious! AND if you're and animal lover like Darrell and Ed this will make your tail wag. Darrell and Ed are regulars on i-Italy Radio. In Italy, Funniest Thing! with Darrell and Ed is considered a Roma therapy. That's amorè!